Low Bookcase 900w x 300d x 900h. Tall Bookcase 900w x 300d x 1800h. 2 Drawer Petite Bedside Cabinet 360w x 320d x 530h. 2 Drawer Bedside Cabinet 450w x 400d x 550h. 2 Door 1 Drawer Wardrobe. 2 Door 2 Drawer Wardrobe 1200w x 550d x 1900h. item 3 Boston Dark Wood Low Bookcase, 2 Adjustable Shelves. Superb Quality Furniture. 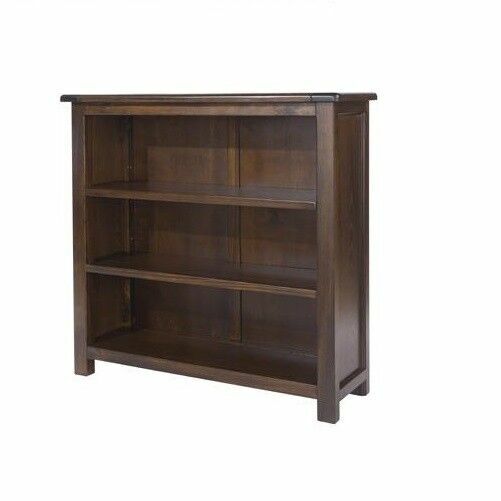 -Boston Dark Wood Low Bookcase, 2 Adjustable Shelves. Superb Quality Furniture. Looks exactly as picture, great value for the price. Beautiful wood colour and texture. Very pleased indeed. Well made, nice looking. Would buy again. This bookcase looks so much more expensive than its cost. Very easy to assemble. Excellent!